Is There a Low-End MacBook for Photographers? 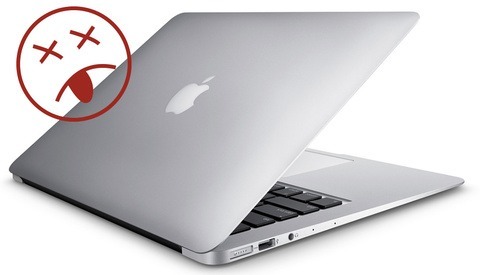 The MacBook Air took over the MacBook’s place in a DVD-less decision that divided opinions. It wasn’t a low-end machine, just a low-end Apple product. As a result, it wasn’t a bad option for photographers. Wasim Ahmad lamented the lack of MacBook Air upgrades last year (although saying that it was at least the only one left with an SD card slot). While he hasn’t been granted his wishes, the Air is finally back. Unfortunately, we’ve sort of replaced it already, so it’s a little late to the party. The new MacBook Air comes in at $1,200. Then the MacBook at $1,300. Finally, the MacBook Pro starts at $1,300 (without a Touchbar). Confused? We all are. At first, I guessed that the MacBook would be killed off. Our beloved MacBook Air was here to save the day, right? 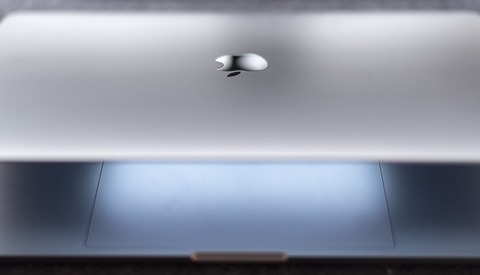 However, it turns out that the MacBook Air is actually thicker than the MacBook at its thickest point. So will the MacBook Air be retired again? Imagine the conversation at your local Apple store. “I’d like a thin, cheaper laptop please” will be replied with “which one?” There's just too many minute details to comb over, and it's going to depend on that specific person's needs. At this point, I’d recommend avoiding the MacBook. It doesn’t have any Thunderbolt 3 ports, inexplicably only has a 480p camera, and a smaller battery. Still, it’s the lightest and thinnest of the three (though it has a smaller screen). As an alternative to an iPad Pro (which is another encroaching product category), the MacBook would make a decent laptop. I just don’t imagine photographers will want to cheap out on the cheapest MacBooks available. I’m with Luke Larsen from Digital Trends; this can’t last. Are you thinking about buying one of these options? Let us know your thoughts. Exactly. Chinese manufacturing is fine. But putting my money in the hands of a Chinese company to make a laptop to run my business from, not fine. Next we're gonna say don't buy yognuo or godox right? Overpay for profoto? Reading is fundamental. A chinese company manufacturing parts is wholey different than a company that whos equipment I use to run a business. A speedlite is easily replaced if faulty, carry spares. A laptop where I run my entire business and create the work the client needs? Not that easy. So again, its fine to buy Chinese manufactured things, but certain COMPANIES I cant put my trust in for important essentials. "Next we're gonna say don't buy yognuo or godox right?" Um, my TT350 doesn't have all my financial information in it and isn't connected to the internet. I laugh each time I read this nonsense. The irony is that the US turned out to be the biggest spy among nations, spying on friends as well as enemies. Or alternatively, only use the device while wearing a nice tinfoil beanie. Apple went downhill after Steve Jobs passed away. Everything they do now is backwards and lacks innovation. Probably not, but there are lots of better and less expensive PCs. ;-) I've got an 15" beast ASUS ZenBook and love it. Yes, to many it's a matter of OS preference, but that doesn't matter if it's at the expense of the quality and/or performance of the hardware. A Chevy with a Ferrari interior is still just a Chevy. I kind of agree on this one with you. I've been a PC users since the start of the XT computers, then switched to apple in 2011 when i had enough of updates, a poor OS, bad User Experience with my PC. Now after 7 years, and having my maxed out Mid-2012 macbook pro, i was looking into the Zenbook UX580 or UX480, but what makes me hesitate are simple basic things as "airdrop" or being able to appleScript, or Terminal command stuff. Today i was teaching a class on Premiere and 2 basic features : Right-Click -> move to folder & Right click - Rename... with a bulk selection were not available on Windows 10. Making me waste more time than effort, the minutes lost here and there on a week, month, year, installs, re-installs, ongoing updates, that's what makes me think i'm ready to go with a less powerful computer for more cash (and even though it might sound stupid, but pages, numbers, keynote, included for when I need something work fine when i'm not using google Docs, sheets, slides), and don't require purchasing. It's an issue, because the best computer would be a blend of Windows, OSX and the power of what's in some PC's (and hackintosh is fun... but not when we don't want to spend 100 hours sorting it all out, making it overpriced for a pro use). I don't miss the OS per say, but i do miss the computing power from some PC machines or building my own and applying the OS I wish on it. Maybe apple will revert to user changeable RAM & HDD, we never know, and we'd be back in talking to pro users (considering the RAM for 64Gb for example in the new MacMini hits you $1400 and you can buy Corsair identical for 600, we can imagine why they are not doing it...). I've always been a PC user, so I can't speak to the Mac OS, but I appreciate your thoughts. My biggest criticism of Apple is Mac OS. I think its way worse than windows. Its very un-intuitive and simple tasks are often quite hidden. It's not that Windows is brilliant but its fairly consistent. Its in total contrast to Apple phones where the user interface is so good they seem to be unable to improve it. Asus ROG notebook I bought in 2011 is still a beast, nice pc alternative if looking. If on budget get a PC , Apple is increasingly ripping people off, and the hardware are not as solid as before. Fstopper just published about sale on HP x2 Zen book. It's possible to add memory and get a touch screen PC with 32 GB ram for 1500 usd or something. Thicker then Mac but most likely will not slow down when you start pushing it. Wish I could get one 1200 dollar but can't get it outside US. And there goes the truth of it! Still using a mid-2012 MBP (13") here. Still going strong, runs D810 files in Adobe Bridge/ACR/Photoshop just fine. It helps that I maxed out the RAM and swapped the HDD for an SSD, but not too bad for an 6.5 year old base model laptop. Some. Ask my wife and a couple of her colleagues and they will tell you another story. Her iPhone stopped working the second year and her colleagues iPad did the same in even shorter time. Apple might have had great quality hardware 10 years ago but it is not the case anymore. They are mostly women but not in their twenties (I won't tell her that :-). My wife's phone was treated very well, it was always carried in her bag. However, maybe you are right, I don't know, never thought of it as a reason. As for the hardware, I watch a lot of tech youtubes and it seems many arrive to the opposite conclusion. They seem to think the QC and hardware quality in general is not as good as it was. A really good question you ask here. As you pointed out, I've been beating the drum for the Macbook Air as a good low-cost option for photographers, but I'm rescinding that title now. Seeing this update means I'm going to be holding on to my loaded 2013 model for a bit longer. *Processor: Yes, it's a newer generation, but it's still a dual-core and it's i5 only. *Screen: OK, this is a win here, straight up. The new screen is a huge improvement. They basically made most things worse except the screen. It's like they know that people will buy an Air no matter how poorly they spec it, so they kept it around, confusion be damned. 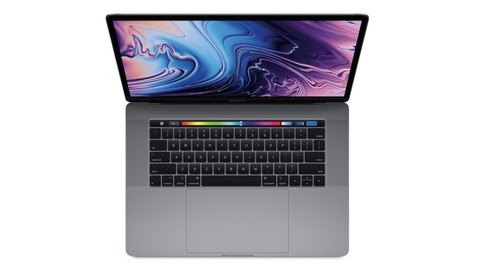 At this point, the only way to get a quad-core processor that is one of the most important specs here is to step up to the touch-bar Macbook Pro, at which point you get a lot of other junk you don't need. I sincerely hope that this is just a "feeling out the market" situation and that next year they'll bring back the SD slot and offer more processor options. I love the form factor of the Air and the no-nonsense approach it's always had. This new update is arguably a step backward. My wife has the MacBook Air. I tried to work with Lightroom on it a couple of times and it just not up to the job. I could never recommend the Air for photographers. Used to be if you spec'ed out the Air enough, it worked great - I have a 2013 i7, 8GB memory, 512 SSD and I can even eke out 360 video with it. I think the Lightroom thing may be more Adobe's fault. But certainly going forward it seems like the Air will be a poor choice for the price it's commanding. Lightroom thing is no doubt mostly Adobe fault. Still, the Air is not as strong for serious work. My opinion. After I wrote my comment, I also realized that I'm primarily working with a D750 and D700, both lower megapixel cameras these days (24MP and 12MP), so you're correct, while it's fine for those, I wouldn't want to put 5DS or D850 files through the machine on the regular. I am in agreement with this article. Turning point for me, I am slowing down but like Apple platform,,,,,We are getting teased a lot with PS available on the IPad Pro next year. I am a brilliant skeptic. I got this feeling it won’t be a full PS like the destop version. Talk about collusion, apple and adobe might be up to some tech tricks. Be playing us all for advanced sales. My gut tells me we will be a modified version on the first product launch with the take away. “Move coming”: So, I am forcasing latte 2020 before we see a full robust PS on IPad Pro. I hope I am wrong however. My belief is that we all think the core business of apple is in the machines, but their business IMHO is in Cloud storage. Smaller drives, more computing power externally, data racks. I believe they are actually heading towards the SUN Microsystems Workstations from 1984 in the sense of cloud storage, maybe cloud based applications and cloud-based processing for heavy-load applications. Each of which coming at a certain cost. John, I don't recall saying I was pro Cloud... keep your wool on... it's cool, no need to be agressive and jump at my throat, I am just stating what, IMHO, is taking place in apple world, time will tell, it's just an open, friendly, discussion. (*sigh*) the more I read, comment and get agressive comments online, the more I just want to delete all social presence, seriously... it's crazy. Can't anyone just be kind, have a discussion without wanting to make a life statement, be nice and just... talk about a topic ? Have a nice week... I hope it's going well, and that nothing on your side is making you feel bad, difficult times or whatever, as I don't know what's taking place in your life right now either. Take care.